The government of Alberta’s Sustainable (?) Resource department (SRD) is continuing an all-out assault to capture and remove as many wild horses as they can. This year whole family herds have been totally removed!!!! In the past an individual had to apply for a capture license paying $280. It appears this year that this fee, like so many other parts of the Horse Capture Regulations, have been thrown out the window. We believe that the SRD solicited as many individuals as they could find to remove the horses this year. 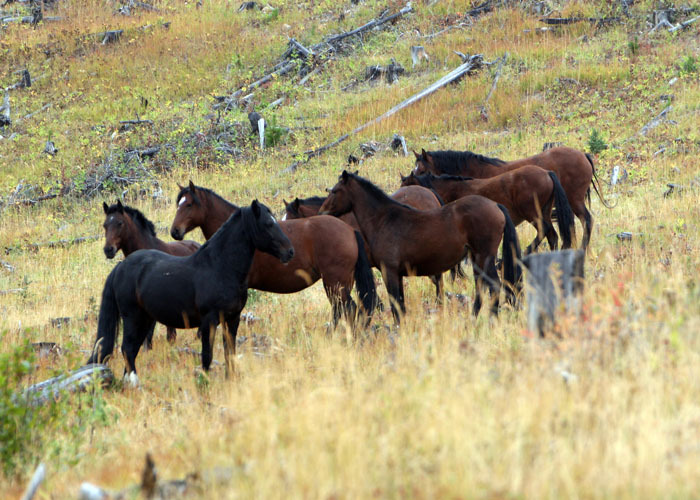 This assault came as a result from pressures from some ranchers who are being manipulated by Rangeland Management who state that if they wish to continue their grazing leases on crown land that they must remove the horses. This goes back to the old argument that the horses are infringing on the availability of forage for the cattle and other wild animals. From our research this is a complete falicy. In fact we can take you to areas in the forestry where cattle grazed all summer. Now there are no wild horses and no other ungulates to be seen in these areas. These are valleys that used to be the wintering areas for elk, deer and moose. As a result, this also moves the natural predators, such as the wolf, out of these areas and closer to settled land. 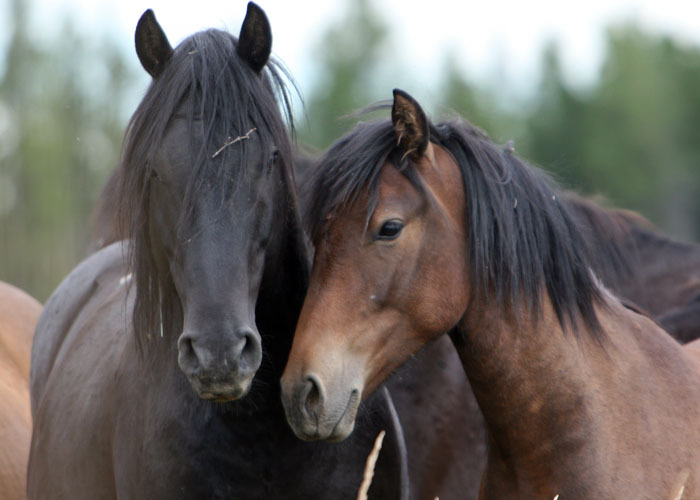 In 1993 the Horse Capture Regulations were introduced in the province by the Alberta government. This regulation was to give the horses protection and also provide a way to manage the number of horses. 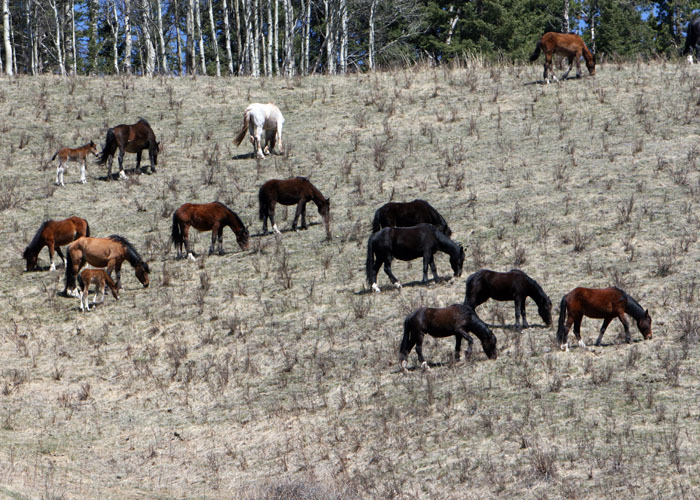 In response to some killings and slaughter of horses around Burntstick Lake in 2001, WHOAS was formed. Myself and a number of individuals felt that the regulations did not go far enough to protect the horses. SRD has always argued that it was all the protection the wild horses needed. Basically in the last two years the regulations have been thrown out the window. 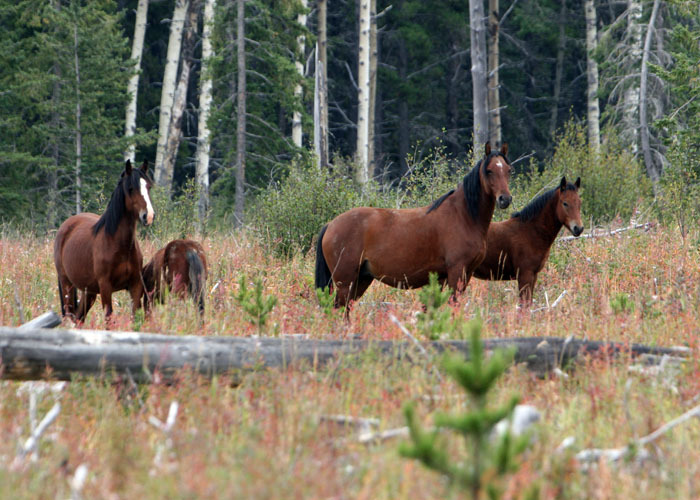 In 2010/11 over 80 wild horses were captured with a large majority going to meat buyers. Now in 2011/12 the number is quickly approaching over 100 head. We have had a couple of sit down meetings with the SRD and other officials. In 2005 they showed us a map indicating all the horses that they had counted in their aerial census. That number was 221 head. In 2008 they then stated that the number was over 700 head and now they were claiming there was over a 1000 head of wild horses roaming the foothills. This giant leap in their numbers is genetically not possible. Therefore they are misinforming the public in order to carry on the destruction of our wild horses. At the meeting in 2005 SRD also stated in argument to some of our concerns, that these were just regulations and that they could interpret them as however they saw fit. Despite the regulations being renewed in 2008 by the Alberta government, they, as I said have been totally disregarded. Most of these wild horses have been removed and sold for meat to Bill Nugent out of Water Valley. He pays these individuals approximately .30 cents a pound for these horses no matter what size. We know there are at least eight trappers (horse killers). Therefore, a magnificent wild horse stallion, whose value living free in the wild is priceless, is only worth at the most $300. This seems to be the ridiculous value that the SRD puts on your natural resources including all other wildlife. 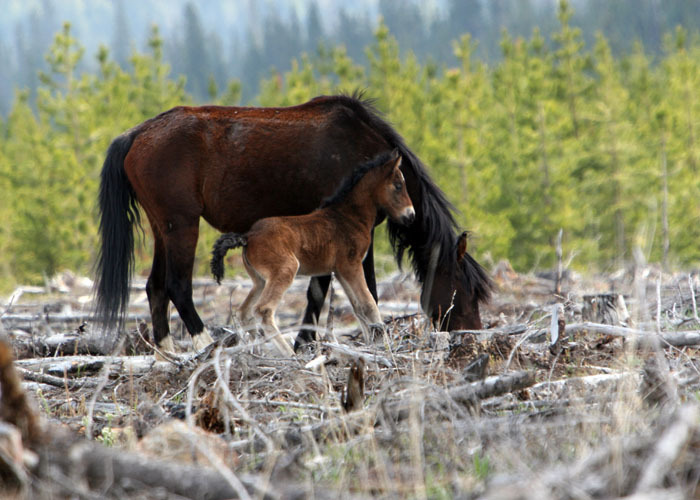 They would rather listen to the private companies, such as West Fraser and Spray Lakes Sawmills who say the horses are destroying the environment. No consideration is given to all the other small creatures such as squirrels, marten, birds, who are also destroyed when our forests are clear cut. How can they say the horses are the ones doing the damage when science has proven otherwise. Previously persons with capture corrals were required to check their pens and the welfare of the horses on a regular basis. This rule is also being disregarded so who knows how much these wild horses suffer before being chased into a stock trailer and hauled away from other herd members. And again WHOAS points out that a lot of the mares being captured are heavy in foal and to think of the stress and the trauma that they must undergo, I as a human cannot understand. The SRD and these trappers don’t care. Their only concern is the amount of money they’ll get and for SRD meeting their own private agendas to the benefit of private interests who consider your public land (Crown land) their own. This should make anyone interested in preserving our historic wildlife mad as hell! They got rid of all the bison and now they’re bringing back a few and trying to re-introduce them near Banff, but the way they’re getting rid of these horses, they’ll never be able to bring them back! Extremely sad times for these animals!